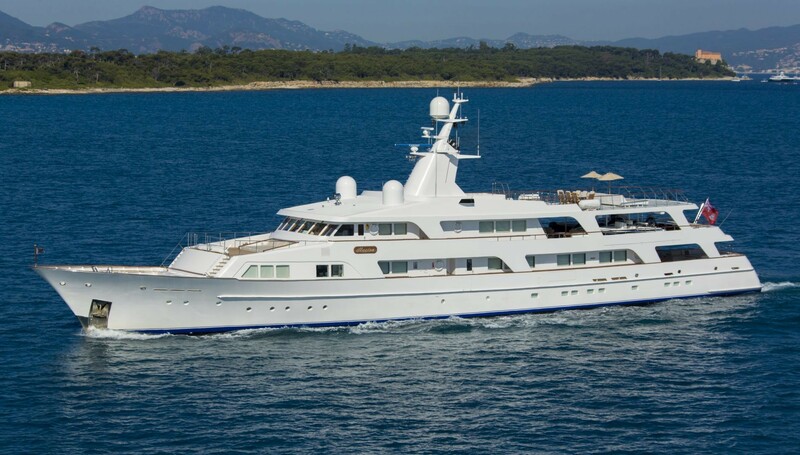 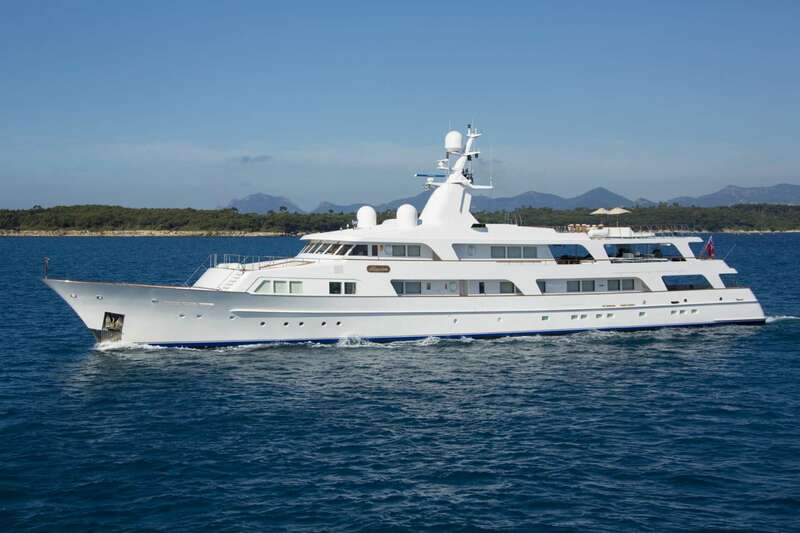 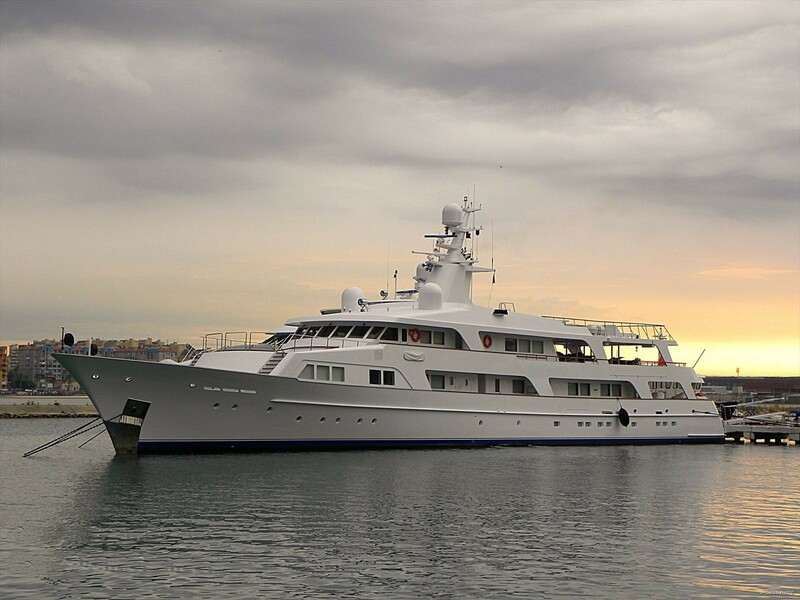 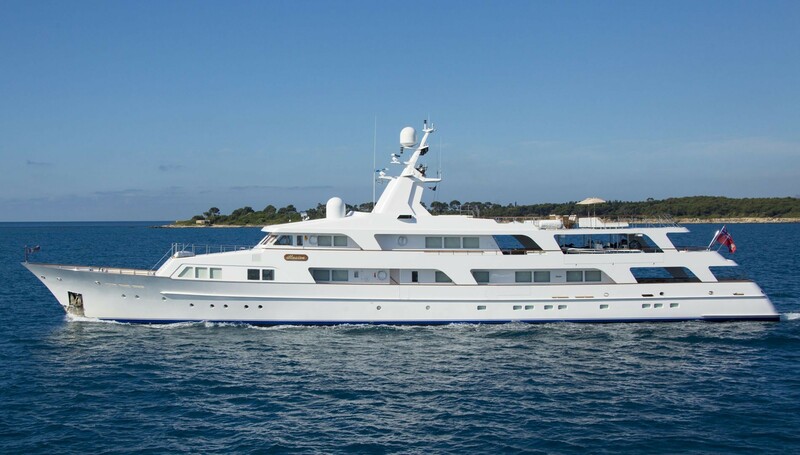 Motor yacht ILLUSION I was built to Lloyds classification in by Feadship in 1983 and has since had various significant refits including one at the Pendennis Shipyard and the latest one in 2017. 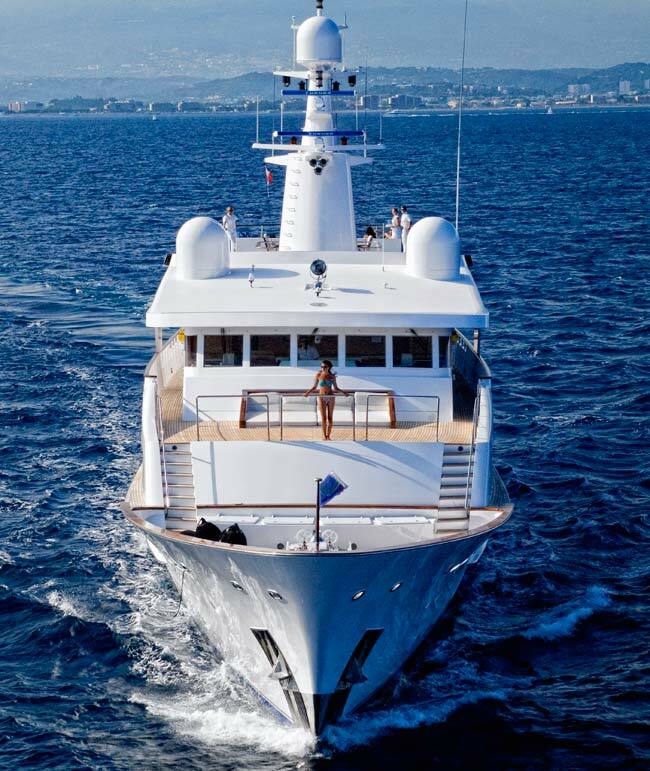 She measures 55.50m (182' 1") and can accommodate up to twelve charter guests over six fabulous deluxe cabins, while a crew of 13 highly skilled individuals ensures everyone has a fantastic time on board. 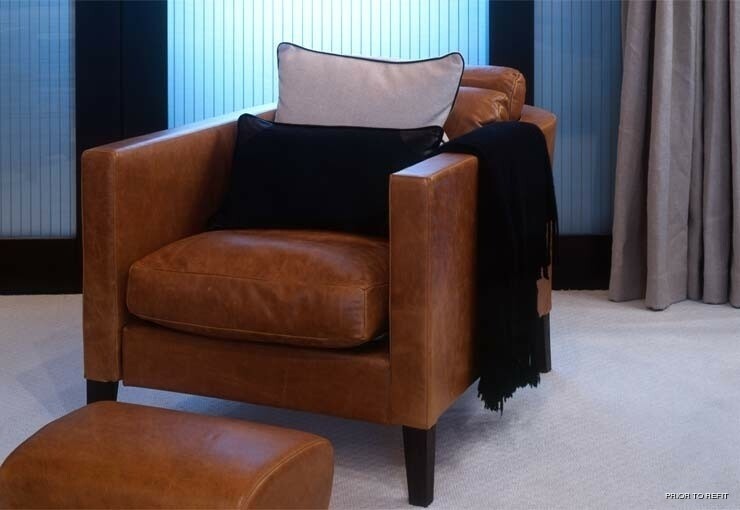 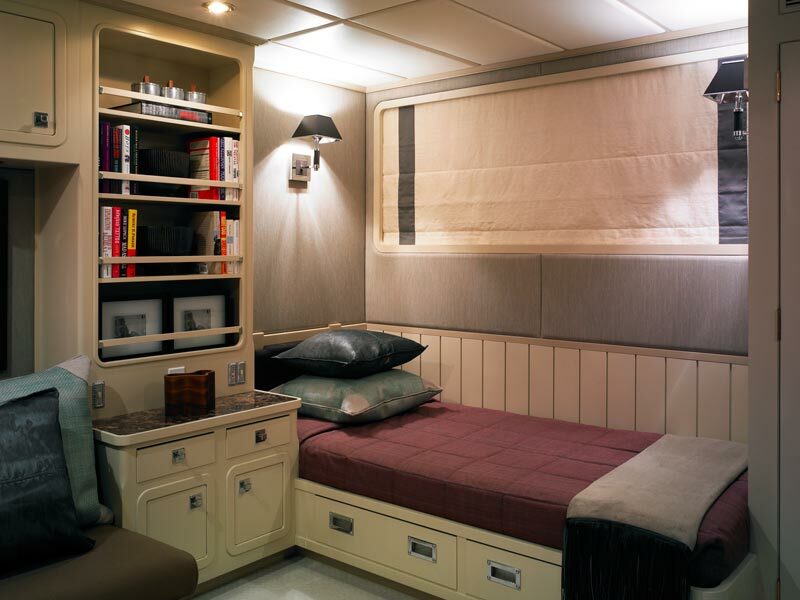 The living areas on ILLUSION I are arranged for maximum guest comfort. 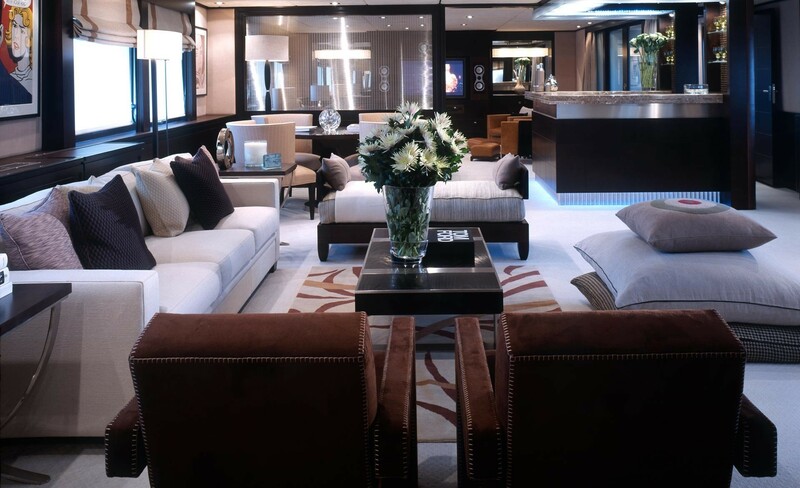 Situated on the main deck, the spacious, warm and inviting main saloon, with full bar and separate seating areas is a great place to relax. 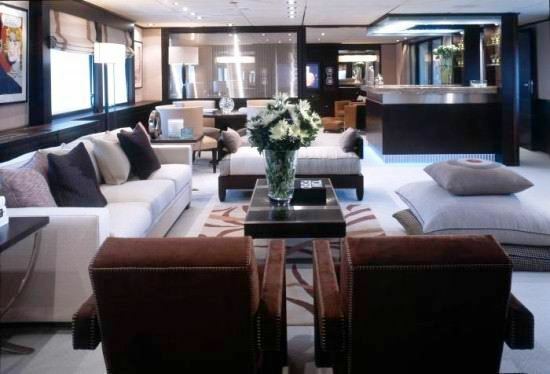 Additionally, there is a second salon, forward with the full state of the art entertainment centre. 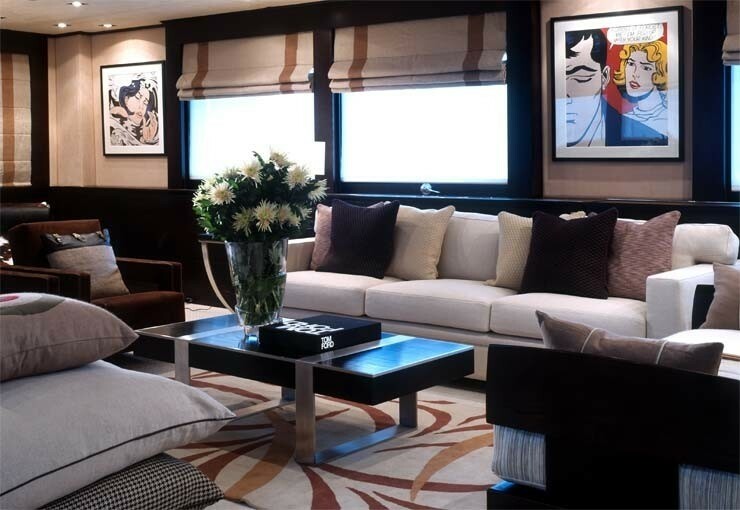 This has an even more intimate atmosphere for smaller gatherings. 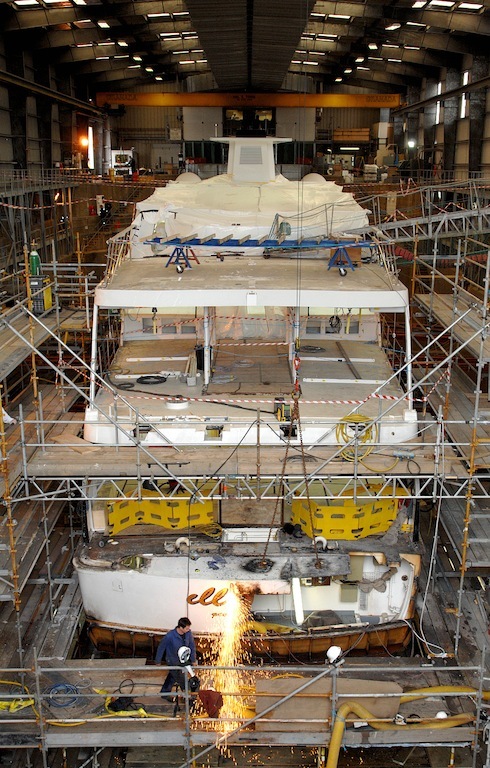 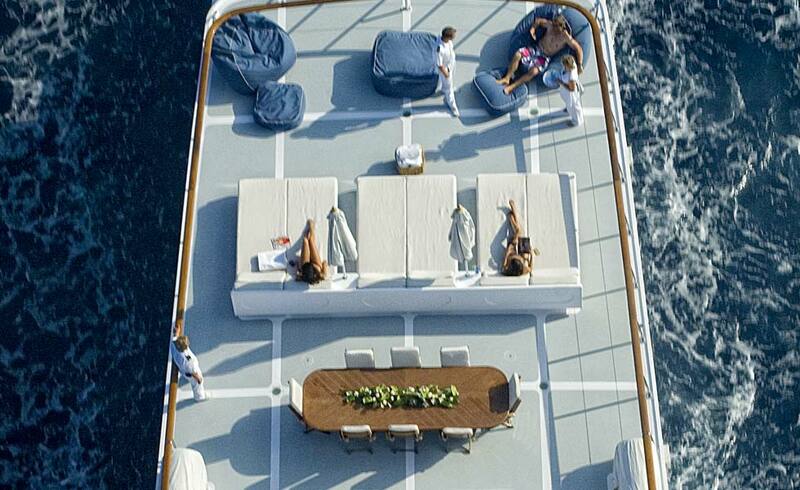 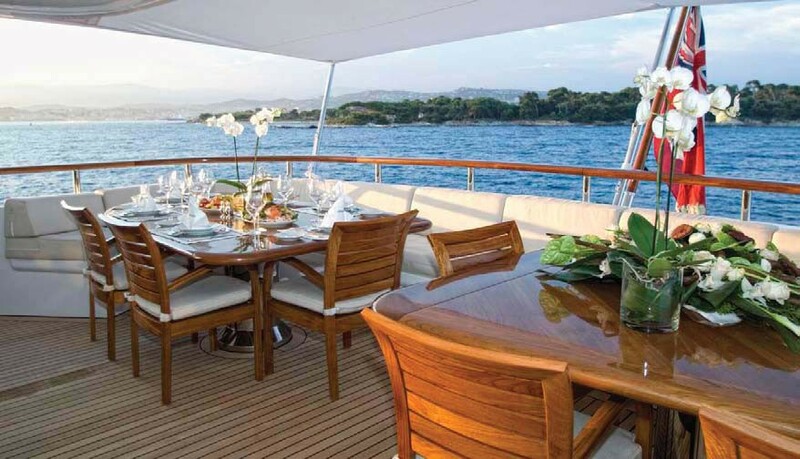 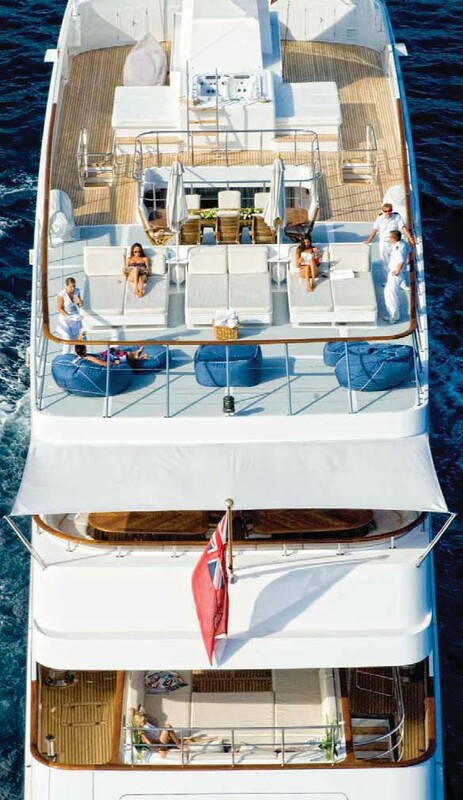 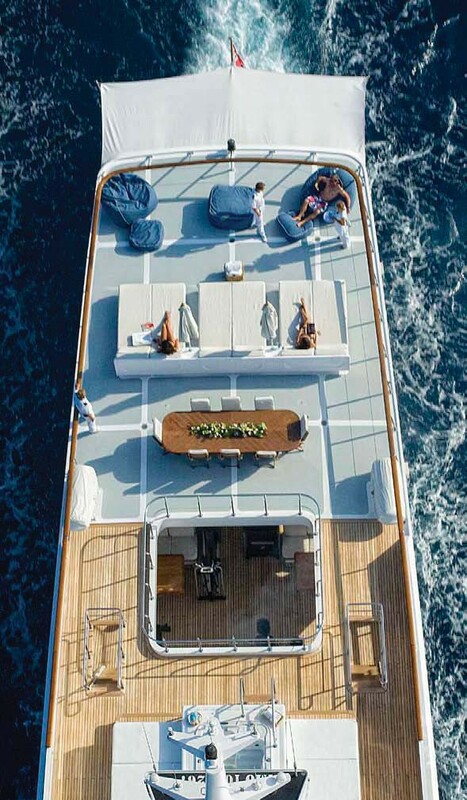 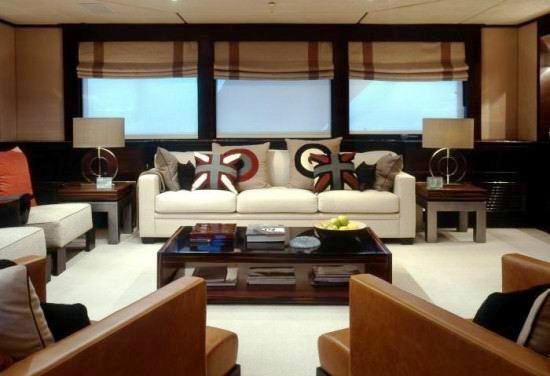 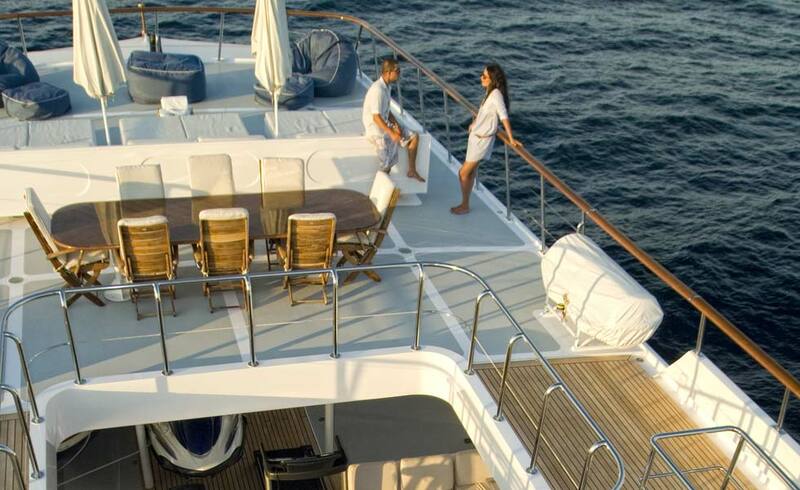 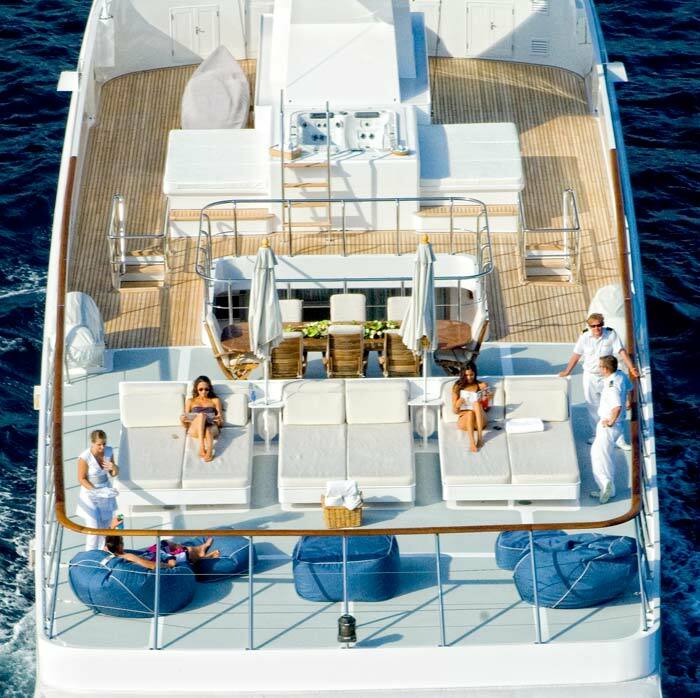 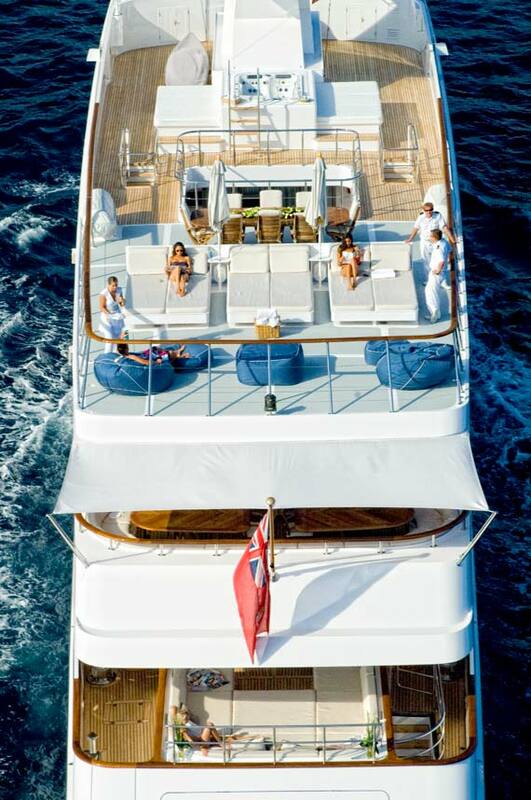 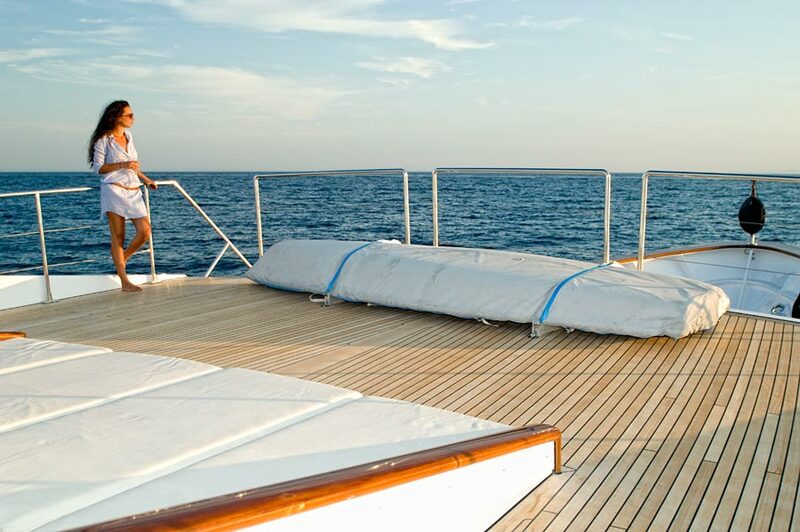 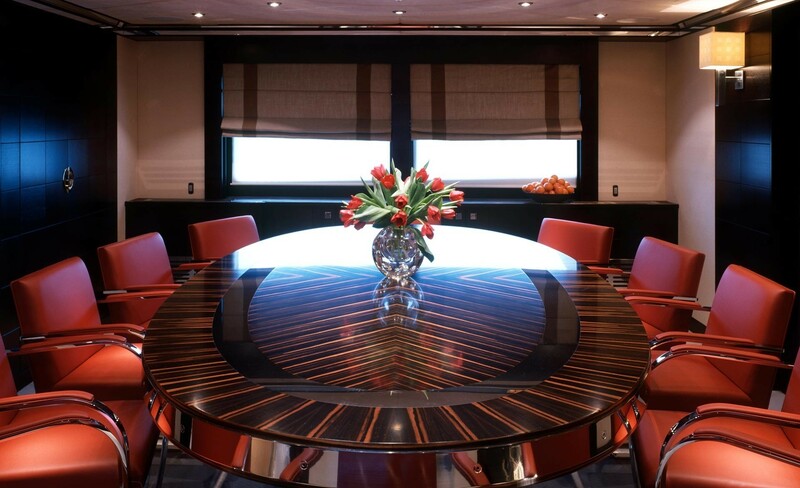 Aft of the main saloon lies the aft deck, its circular dining table is ideal for both buffet style or al fresco dining. 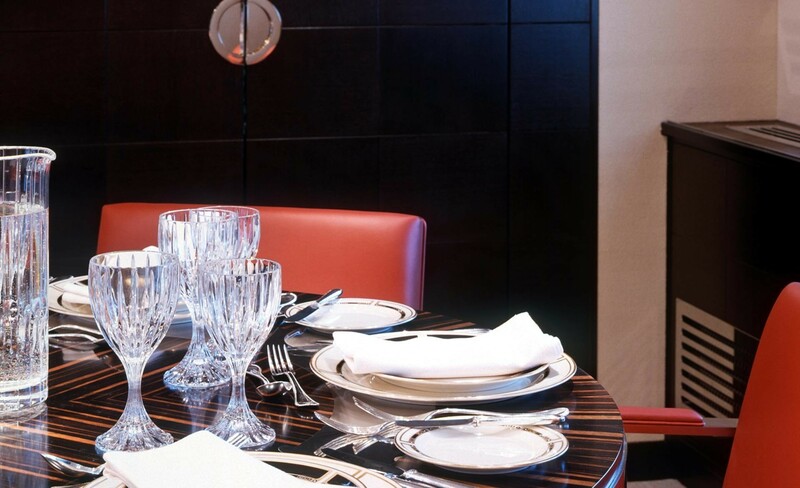 A Formal Dining Salon, with comfortable seating for twelve, is yet another area ideal for entertaining. 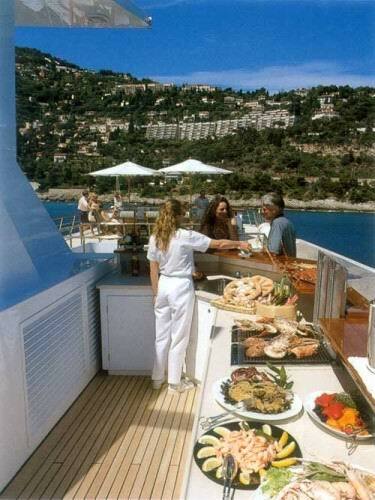 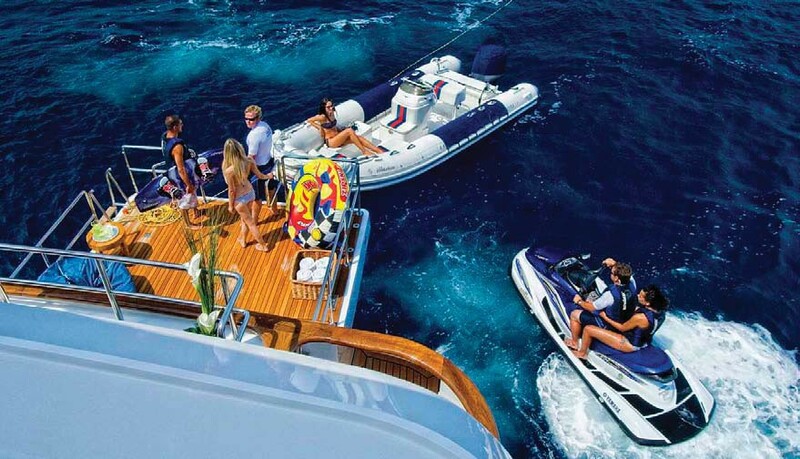 The Saloon on the upper deck is a very versatile area. 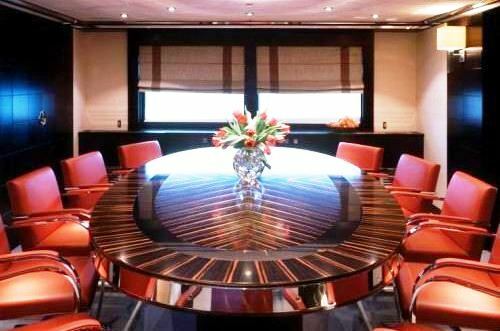 It can be utilized for general guest use or as a business study or office, equipped with the latest available communications facilities. 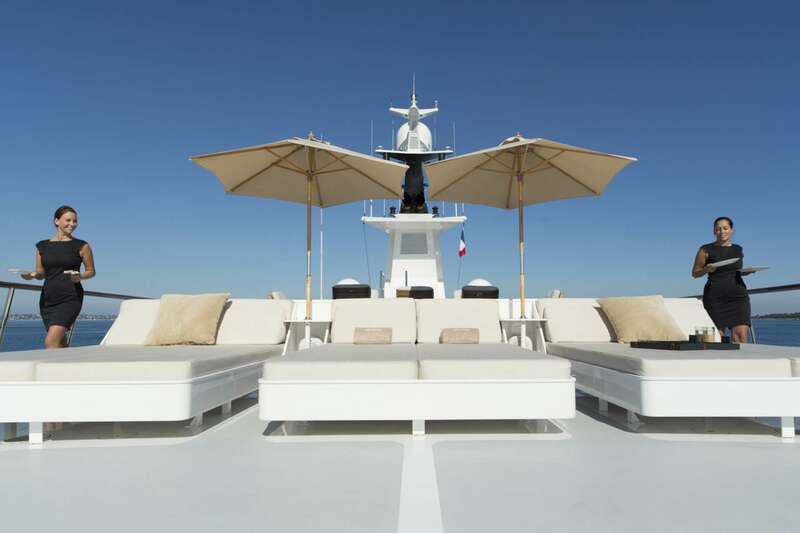 Illusion I has many large different Shaded and Sunny Outdoor Living Areas including the Sun deck, perfect for both relaxing and socializing with a Bar and Barbecue located around the stack. 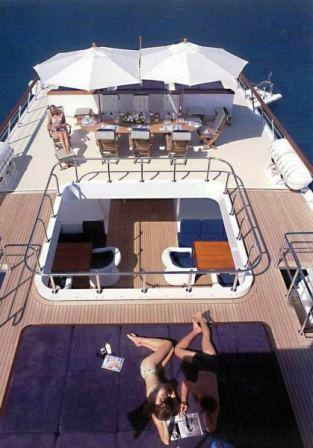 Behind the bar is a large padded Sunning Area. 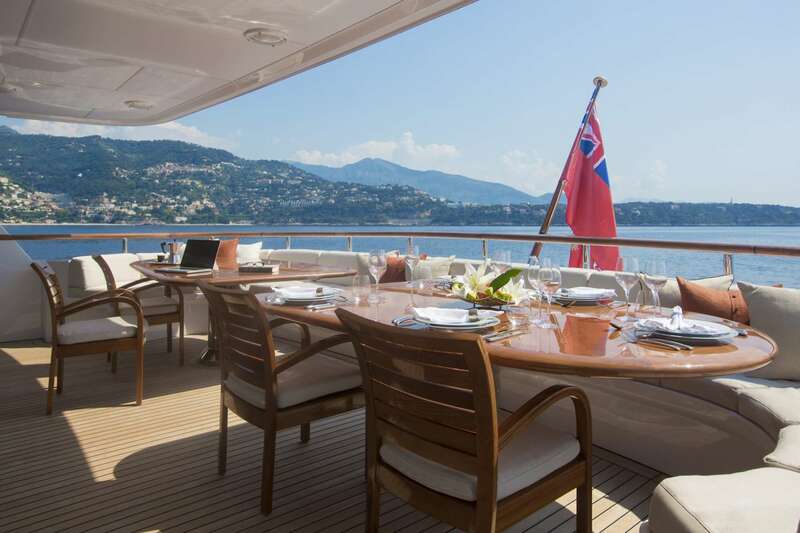 Further to the rear on the Sun Deck is an outdoor dining table, which can be shaded by market umbrellas. 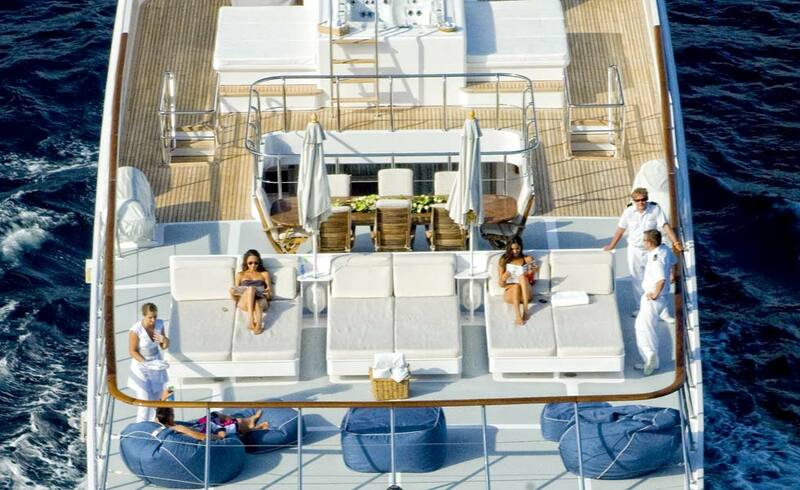 At the rear of the Sun Deck are 3 huge sun beds with windscreens. 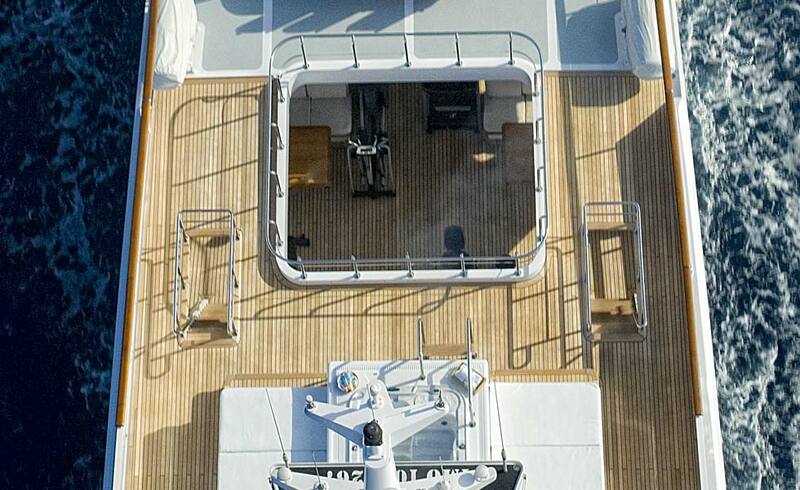 The Upper Deck area located behind the study has two teak dining tables under the shade of the tented atrium with large wicker lounge chairs and u-shaped lounge seating. 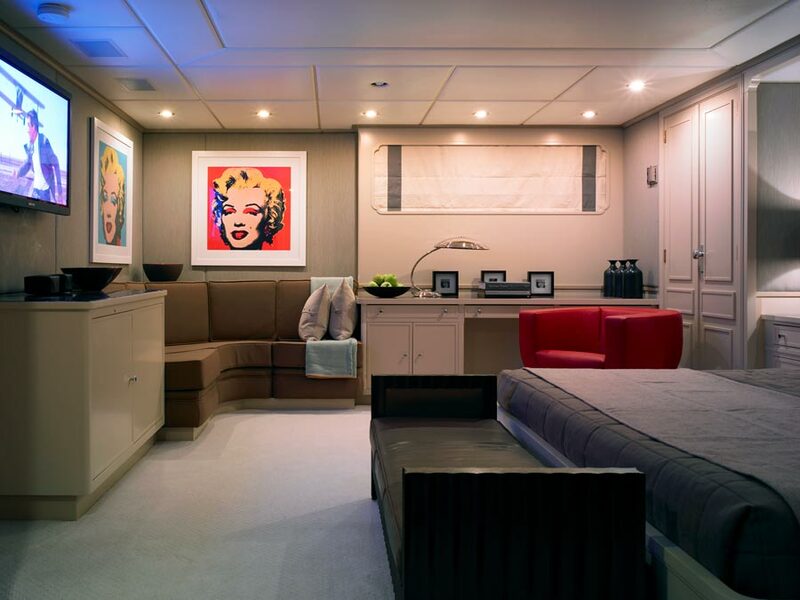 Tenders and wave runners are stored behind this area however when moved can be transformed into an excellent area for large parties and dancing. 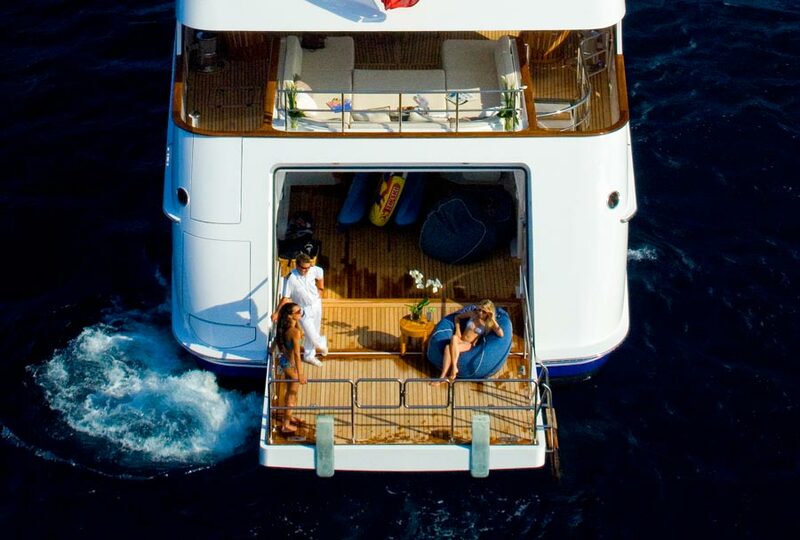 A staircase from the aft deck takes you down to the swim platform where the warm swimming waters and various water toys await. 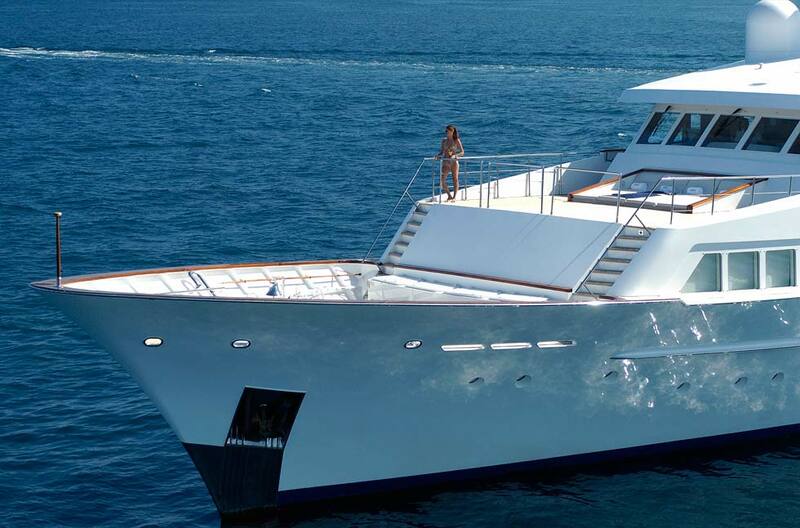 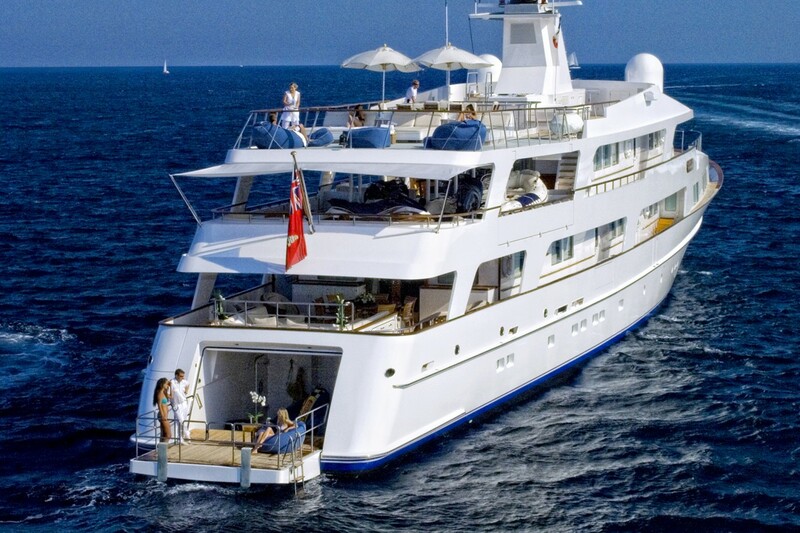 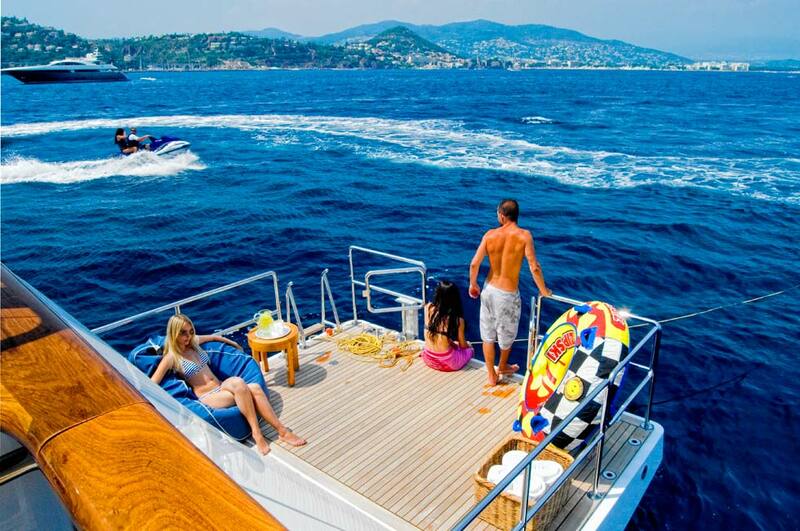 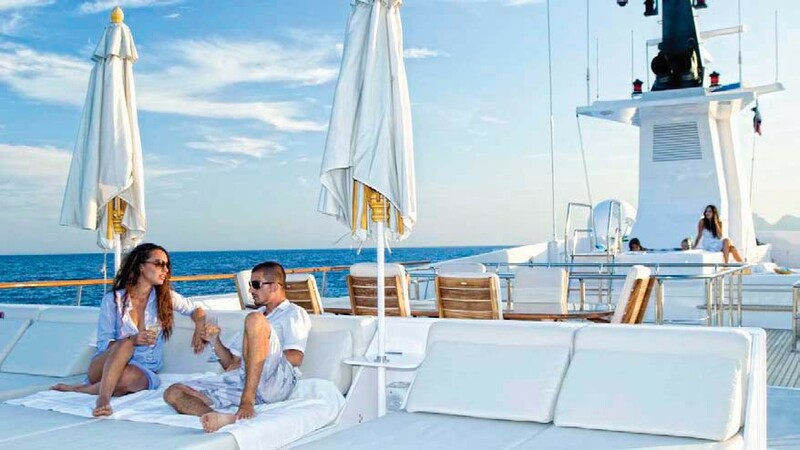 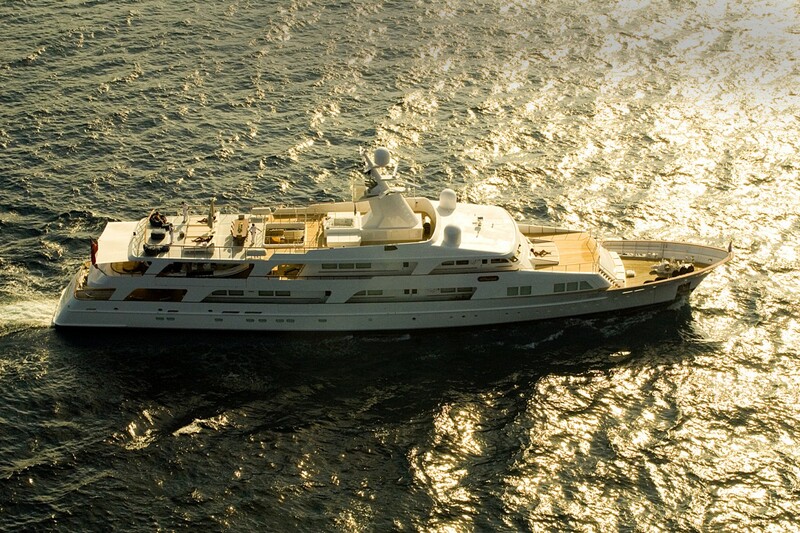 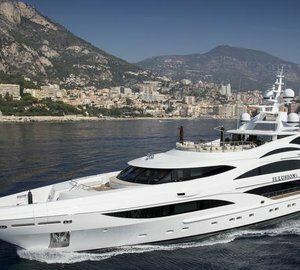 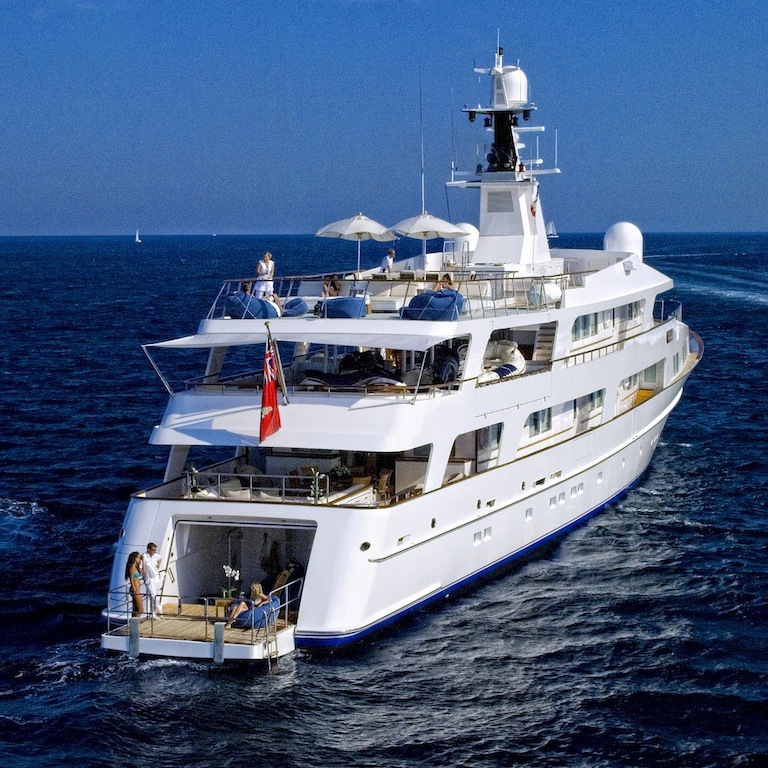 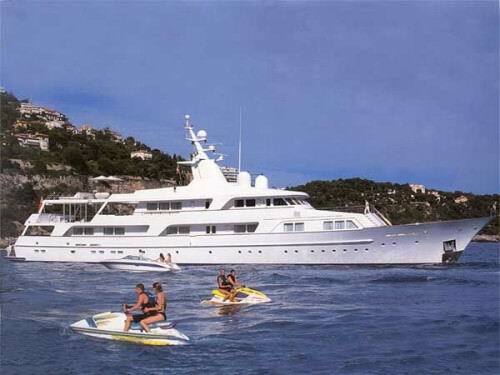 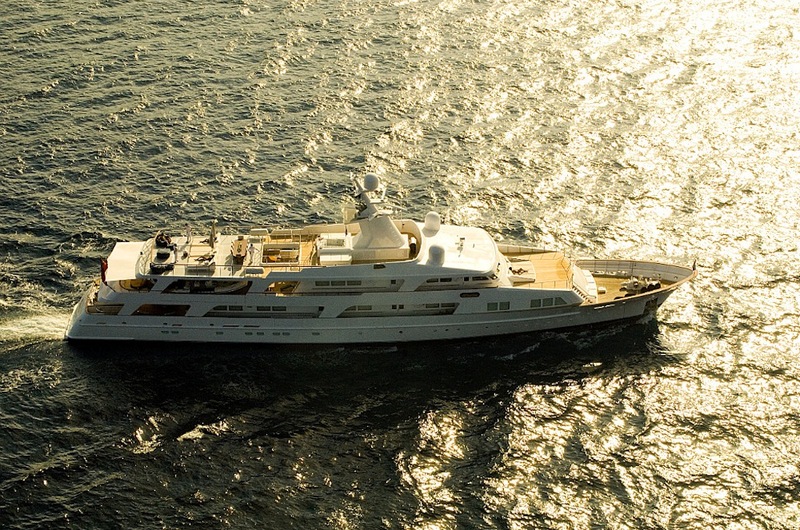 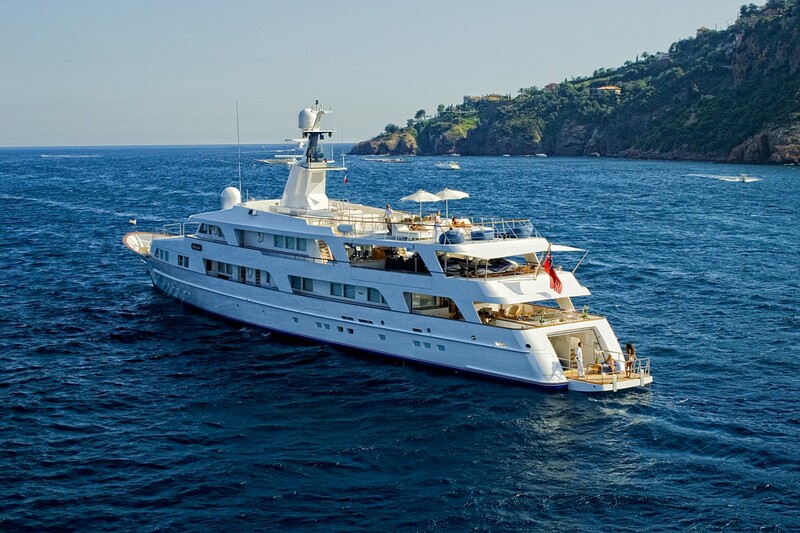 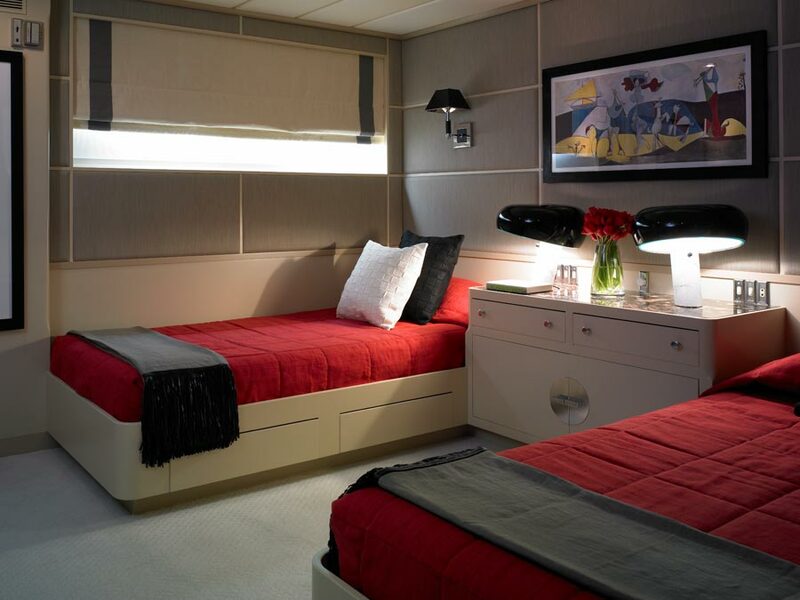 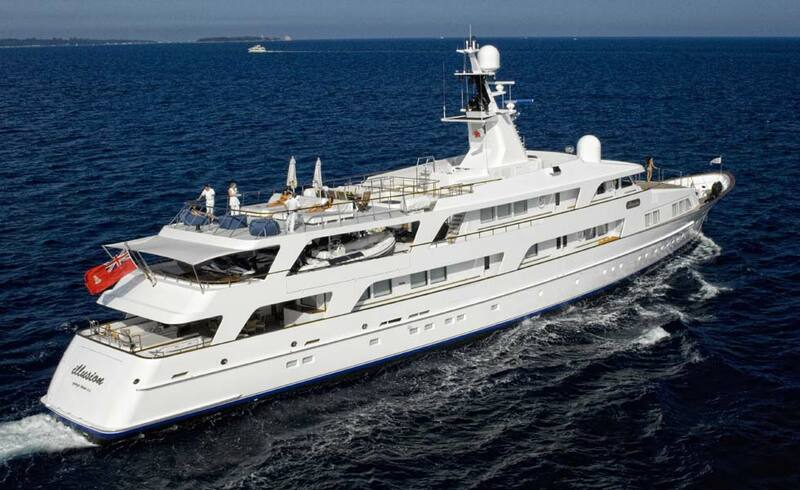 Motor yacht Illusion can accommodate up to 12 guests in six spacious staterooms. 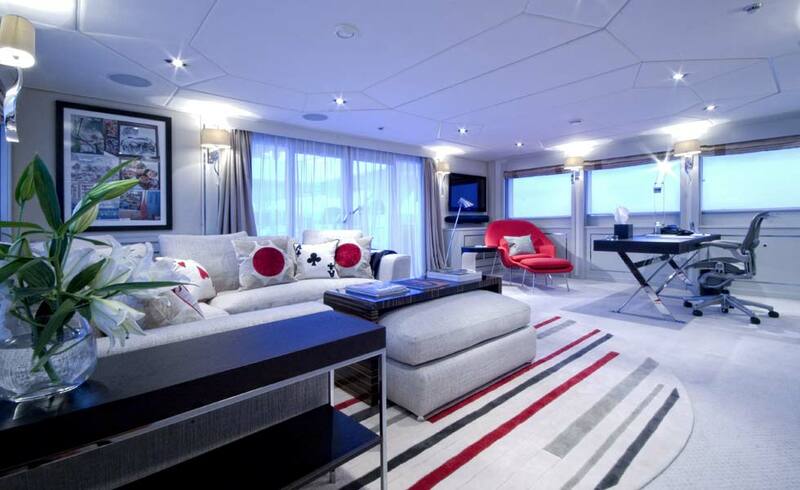 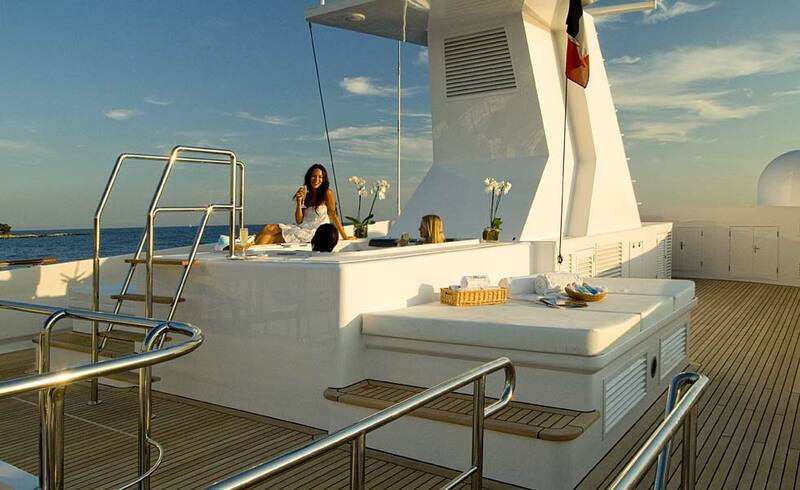 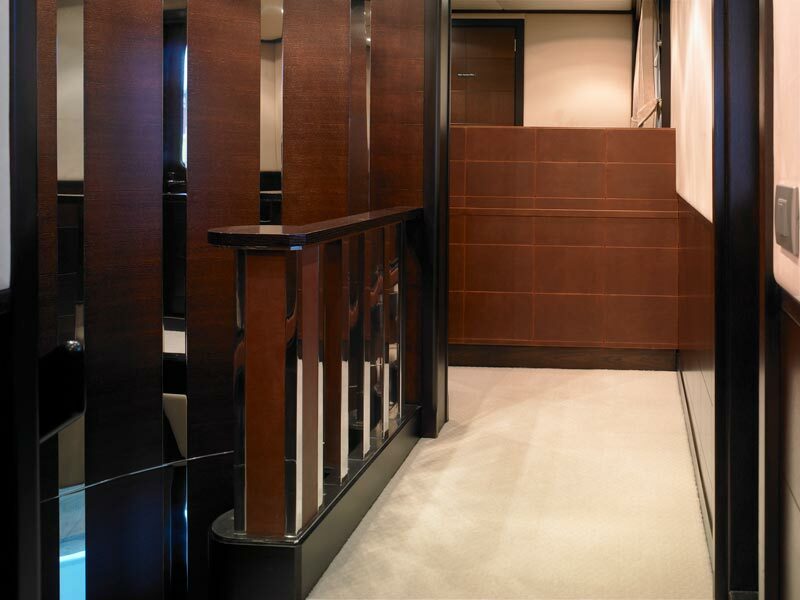 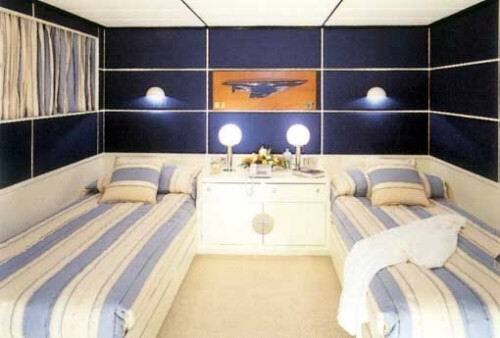 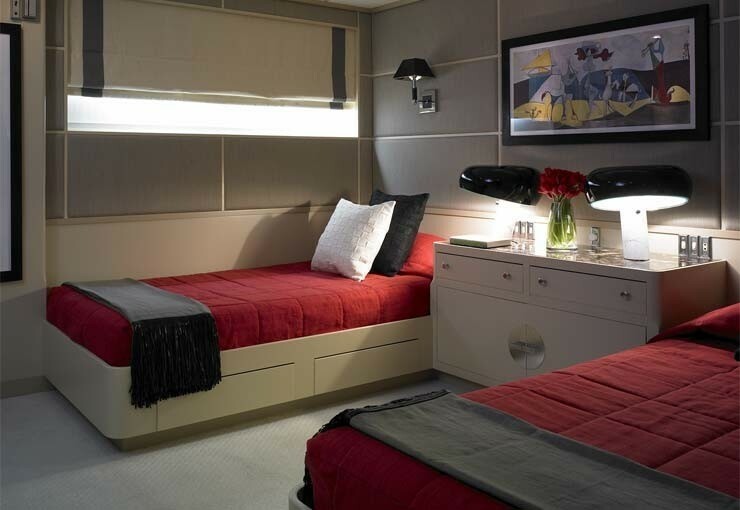 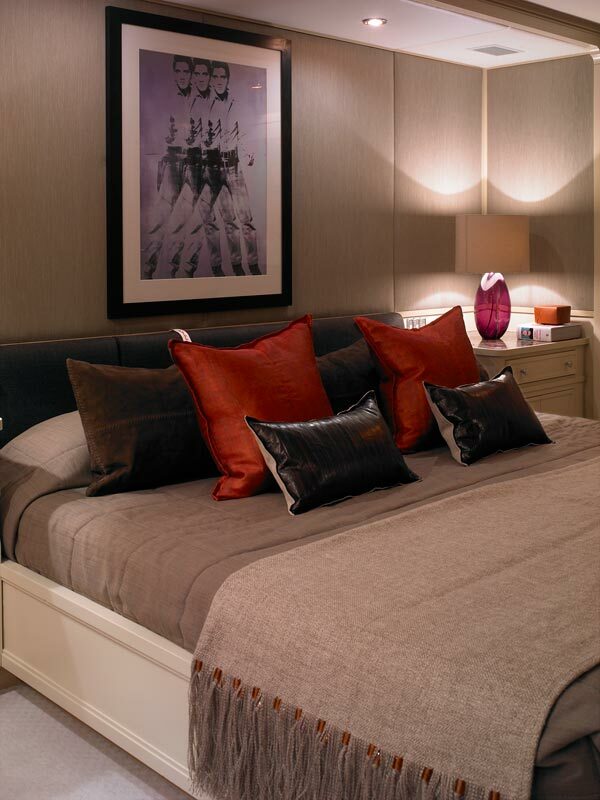 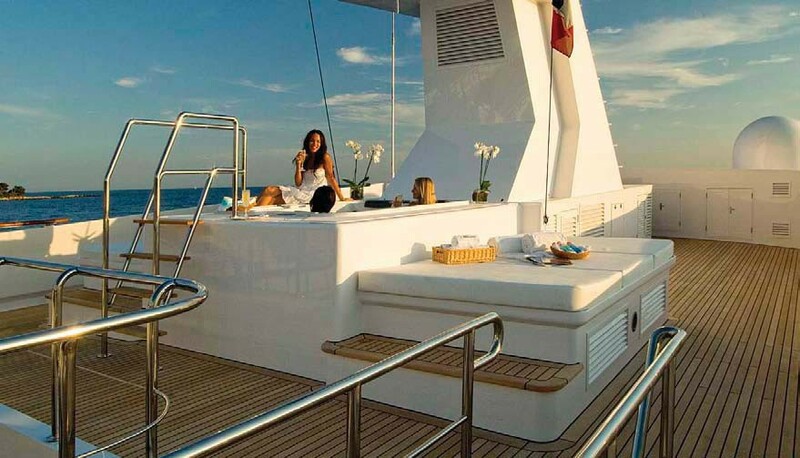 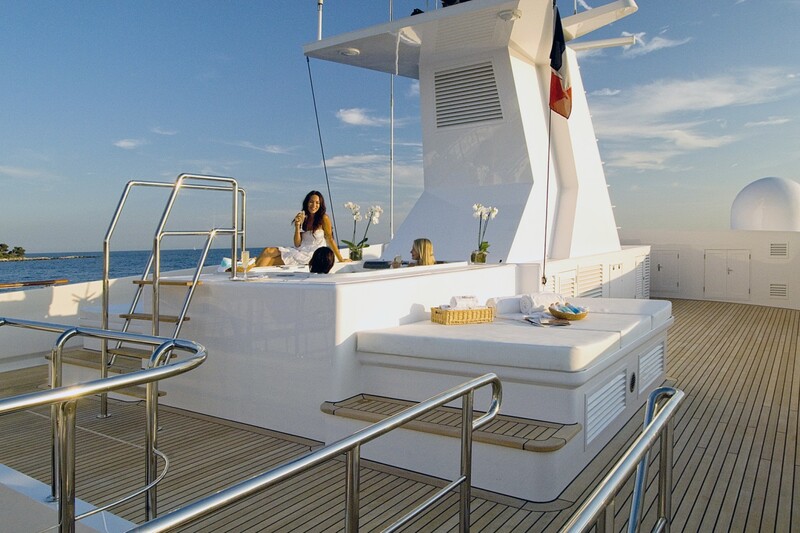 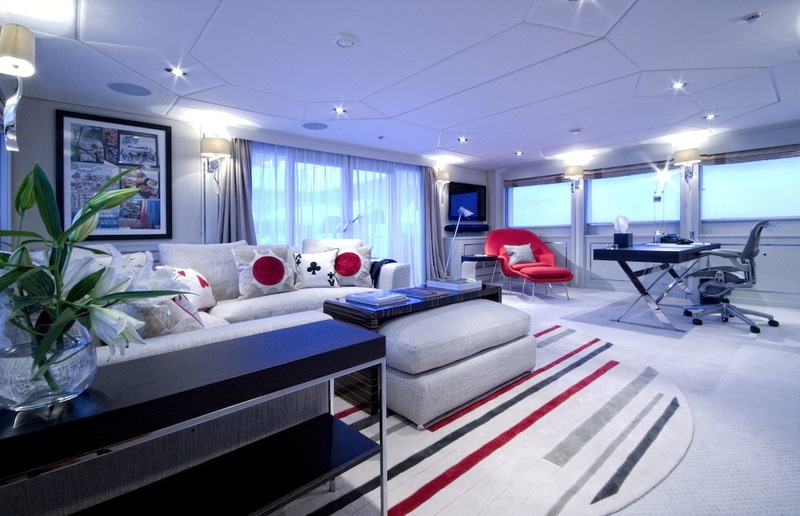 The Master suite spans the full width of the yacht and is located on the main deck. 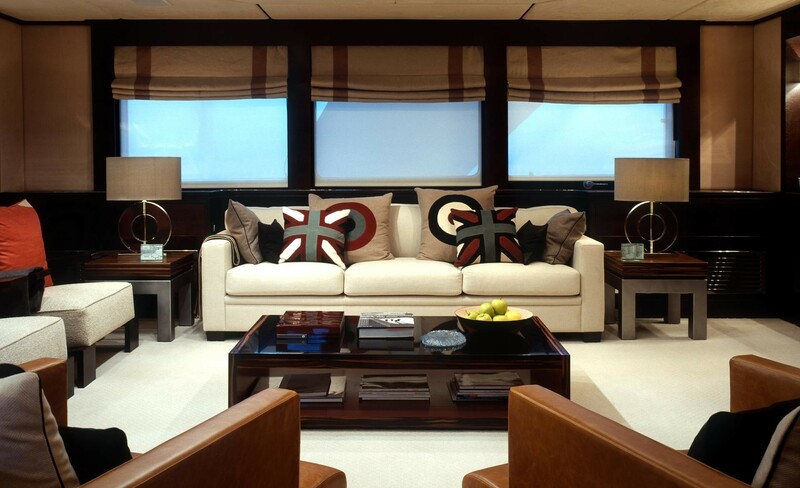 This magnificent room is furnished in exotic woods and light fabrics. 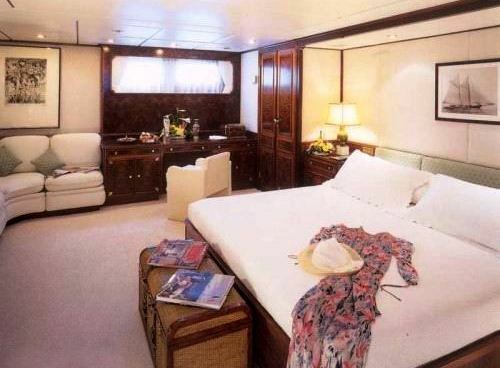 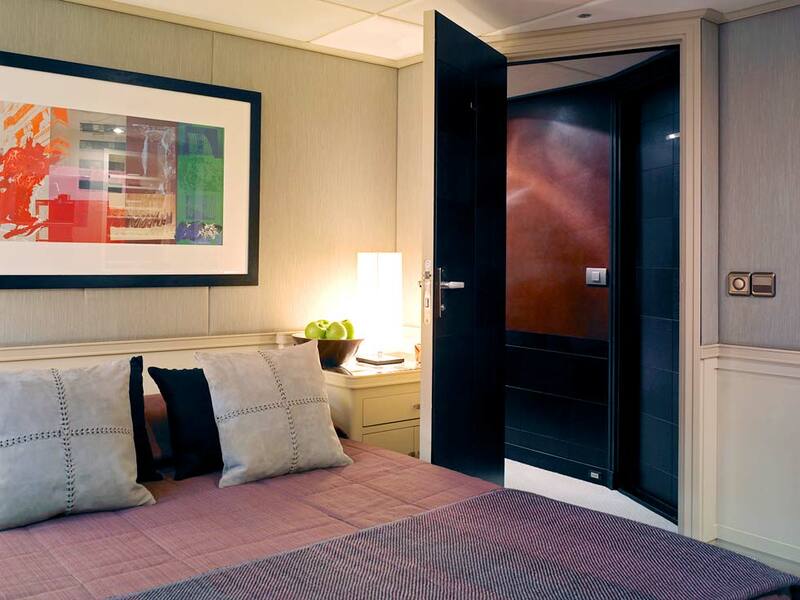 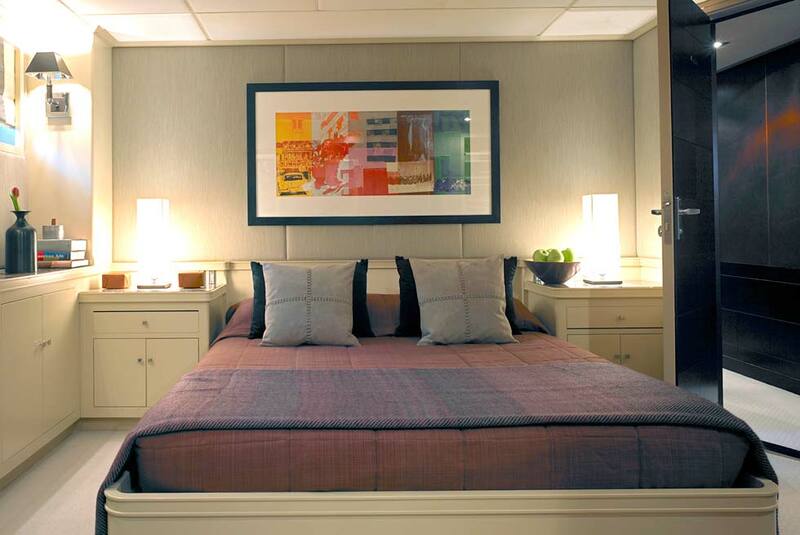 A king size bed, comfortable seating area, dressing room, and an ensuite bathroom and spa pool is only some of the features of this impressive stateroom. 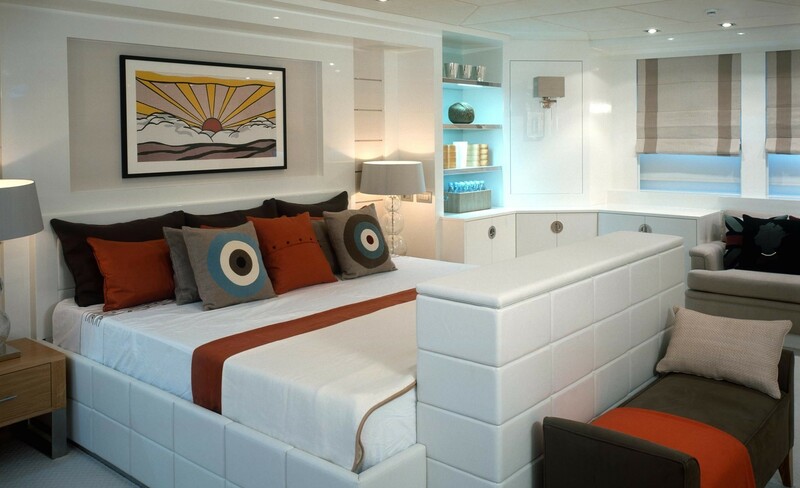 In keeping with the rest of the yacht, the VIP Stateroom, Two Guest Double Staterooms, and Two Twin Single Guest Staterooms are similarily spacious and well designed. 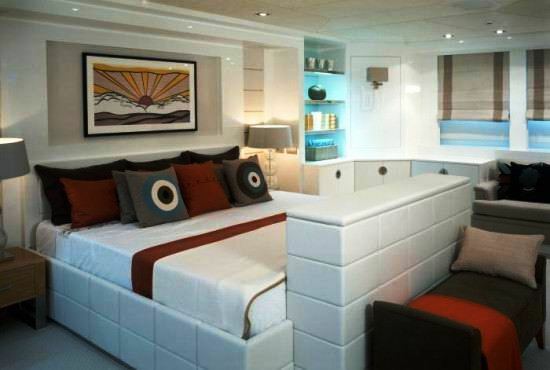 These are located on the lower deck. 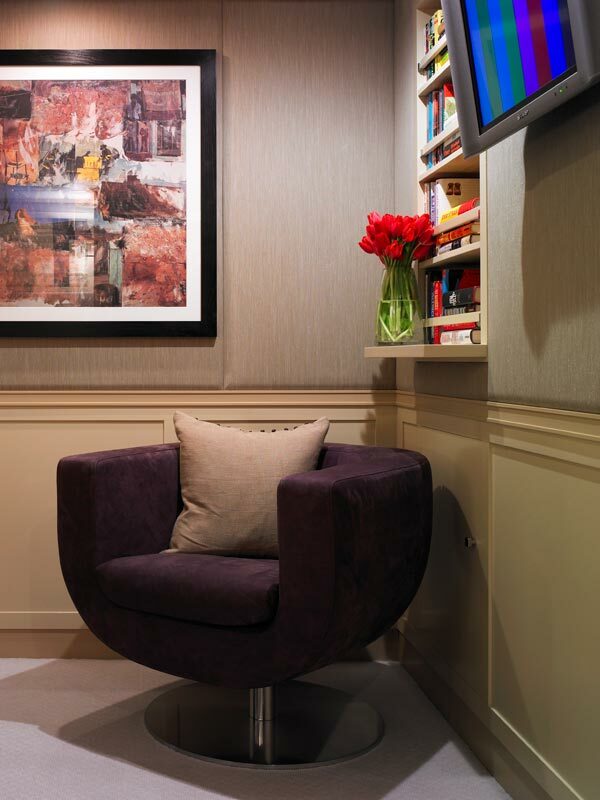 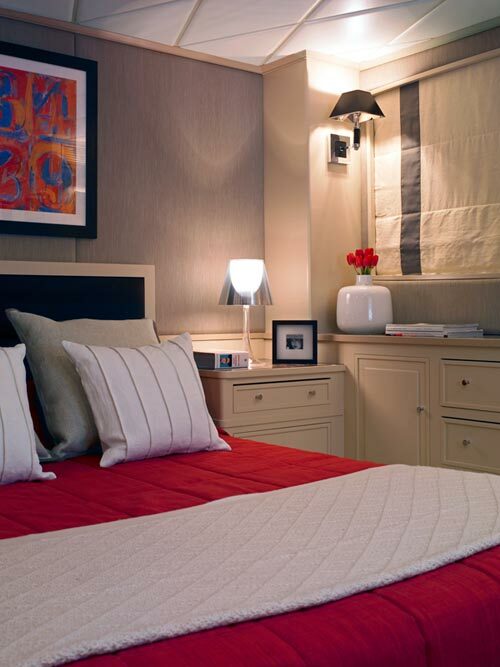 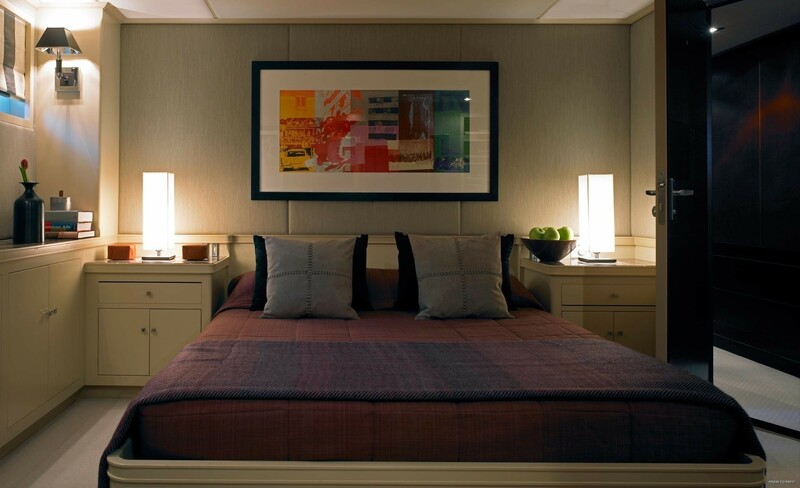 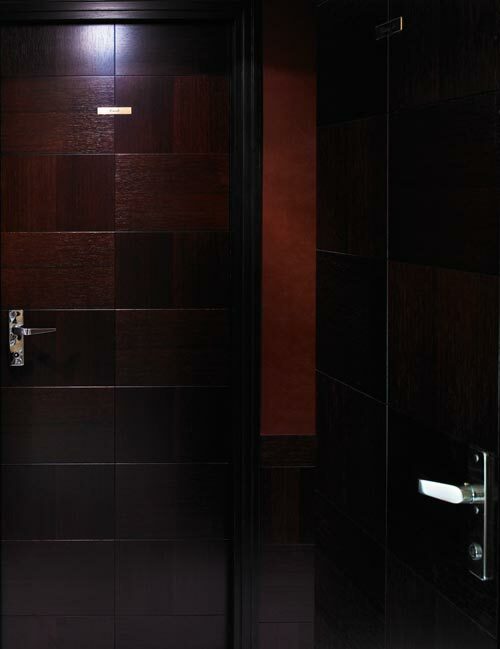 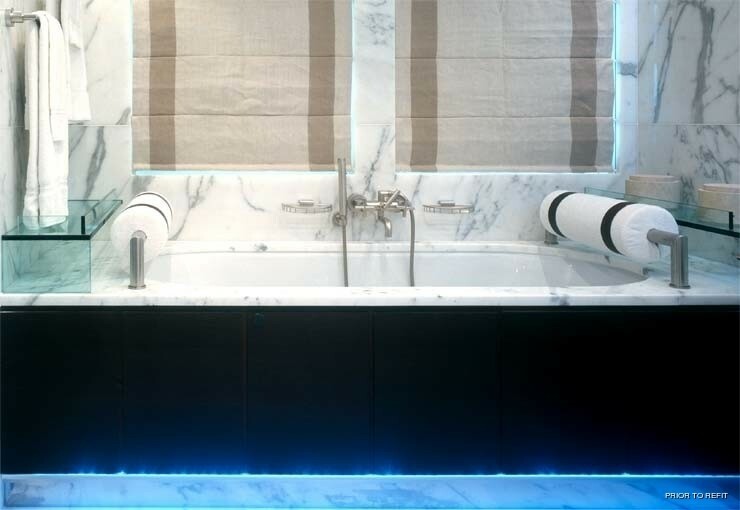 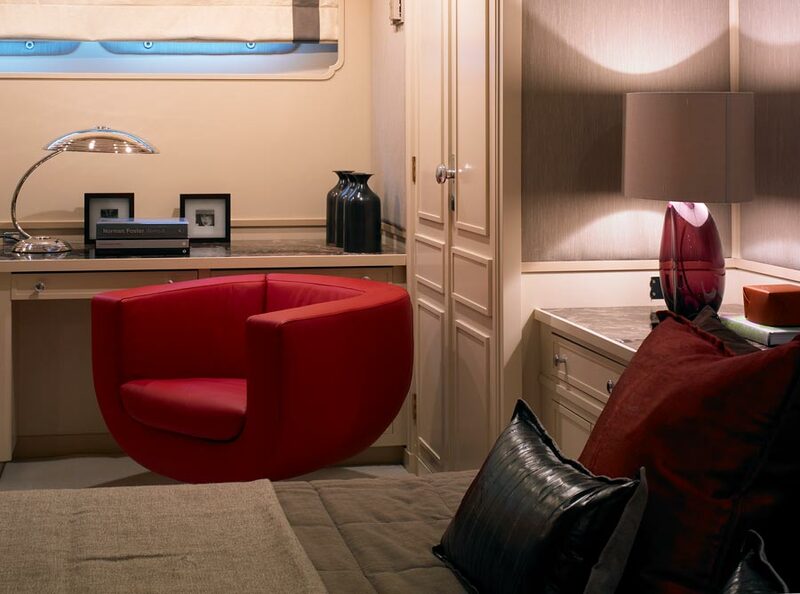 All staterooms have en suite bath facilities. 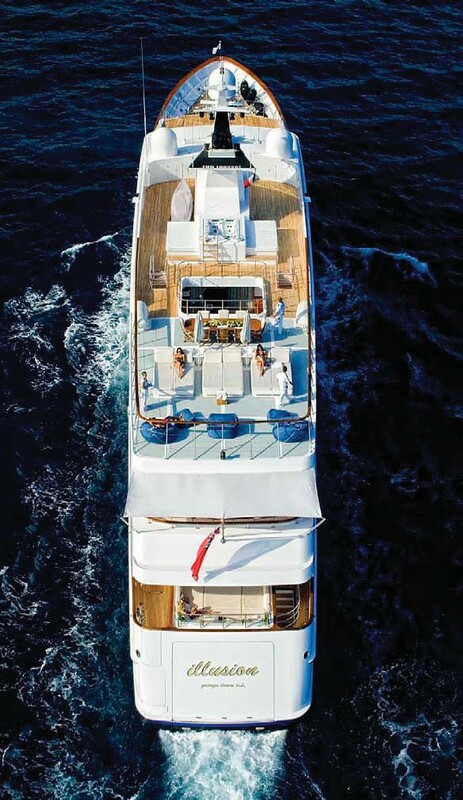 We do have available further amenity, owner and price information for the 55.50m (182' 1") yacht ILLUSION I, so please enquire for more information.